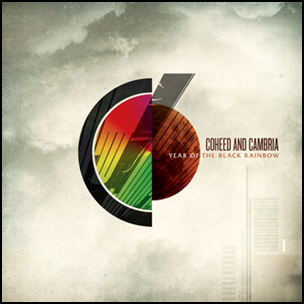 On April 13, 2010, “Columbia” label released “Year of the Black Rainbow”, the fifth Coheed and Cambria studio album. It was recorded June – December 2009, and was produced by Atticus Ross and Joe Barresi. All lyrics by Claudio Sanchez; all music by Claudio Sanchez, Travis Stever, Michael Todd and Chris Pennie, except where noted.